Have you heard? 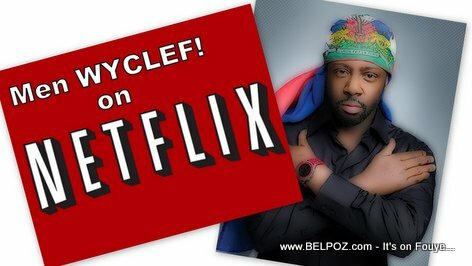 Haitian rapper Wyclef Jean's Childhood in Haiti will soon be captured in a Netflix animated feature film. Netflix will make a CG-animated feature film inspired by the childhood of Haitian singer and The Fugees co-founder Wyclef Jean. The animated film will will show Wyclef's childhood in Haiti, where he lived until his family emigrated to Brooklyn at age 9, and then to New Jersey where he began his musical path. "I grew up in extreme poverty but I was rich with imagination," Jean said. "Now to see that imagination turn into reality with Netflix and my producing partners makes me want to tell the kids from the slums around the world to never stop dreaming."